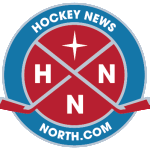 Teams from throughout the 12-member Northern Ontario Jr. Hockey League will hit the ice for the third annual showcase tournament to be held at the Gerry McCrory Countryside Sports Complex in Sudbury on Tuesday and Wednesday of this week. The two-day event will feature all 12 NOJHL teams with all games counting towards the regular-season standings. The showcase is also a fundraiser for the Canadian Mental Health Association, with 100 per cent of proceeds from ticket sales going to the Sudbury/Manitoulin branch. Last season, the showcase raised more than $5,000 to support mental-health services. The NOJHL is entering its fourth season with CMHA’s Talk Today program, which bills itself as one of the most comprehensive mental health programs for amateur sports in Canada. Over the past three seasons, more than NOJHL 550 players, 16 coaches and managers, seven billets and parents and 22 office staff have participated in Talk Today, which is an accredited training program that teaches individuals the importance of mental health and how to recognize persons with thoughts of suicide. Following is the NOJHL showcase schedule. – Blind River Beavers vs. Timmins Rock, 11:15 a.m.
– French River Rapids vs. Soo Eagles, 1 p.m.
– Hearst Lumberjacks vs. Rayside-Balfour, Canadians 1:40 p.m.
– Soo Thunderbirds vs. Powassan Voodoos, 3:45 p.m.
– Elliot Lake Wildcats vs. Cochrane Crunch, 4:15 p.m.
– Kirkland Lake Gold Miners vs. Espanola Express, 6:45 p.m.
– Soo Eagles vs. Hearst Lumberjacks, 11:15 a.m.
– Rayside-Balfour Canadians vs. Powassan Voodoos, 1 p.m.
– Timmins Rock vs. Elliot Lake Wildcats, 1:40 p.m.
– Blind River Beavers vs. Kirkland Lake Gold Miners, 3:45 p.m.
– Espanola Express vs. French River Rapids, 4:15 p.m.
– Cochrane Crunch vs. Soo Thunderbirds, 6:45 p.m.
On my way up great event last year !